Free Images. Royalty Free Photos. It’s a new year, and as a creative content entrepreneur, you are brimming with great ideas for everything from books, movies, music, designs, websites, etc. Thank God so many creative people populate the world. It makes for a sweet beautiful environment. In creating content, a new entrepreneur would be well served having competent legal guidance, regarding what they can and cannot do. I stress the word “competent,” because nowadays, anyone with access to the internet thinks they are an intellectual property lawyer qualified to dispense mounds of legal advice. But in fact, that is a false assumption and one that can lead to the reliance on false and misguided information. Competent Attorneys Provide Legal Advice. You get information that is not accurate. One would think that by now folks would know that just because something is online doesn’t make it true. You may be one who still has faith that everything you see and read is the gospel. But sadly, you’ve been sold a bill of goods–and bought it! Information you cannot rely upon. The other reason for having competent legal advice is you can rely on it. Only lawyers can offer legal “advice.” And if you are ever sued, you can say, my lawyer told me. And if proven, that can be a valid defense. If you rely on what a non-intellectual property lawyer has said about IP related topics and something goes wrong, you have no where to turn. “I saw it on the Internet, or my cousin Ginny, the criminal lawyer, said it was true,” is not a valid defense. Unless your cousin Ginny is an IP attorney, you’d be wise not to rely on what she says. And while Ginny could possibly be disciplined for dispensing legal advice, without knowing what she’s talking about, you’d still be left holding the bag. If someone came to me with a real estate law question, a bankruptcy law, a family law question, or a criminal law question, I would send them to a lawyer whose practice deals with those issues. With little to no knowledge, I’d be incompetent attempting to address legal issues I really have no valid knowledge about. The Model Rules of Professional Rules of Conduct (which have been adopted by most states) provide that a lawyer must be competent, which means having knowledge sufficient enough to render a legal opinion, or align themselves with a lawyer more competent in the area. You create a work doesn’t mean all of the components are protected by copyright. I’m Attorney Francine Ward. Join my conversation on my Law Facebook Page, Law Twitter Page, Google+, LinkedIn. IP Copyright. The Copyright Act. 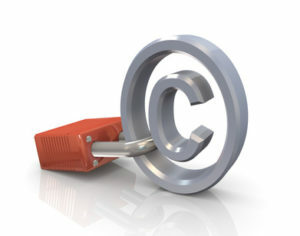 Copyright Registration or OUT You Go! Copyright Act.